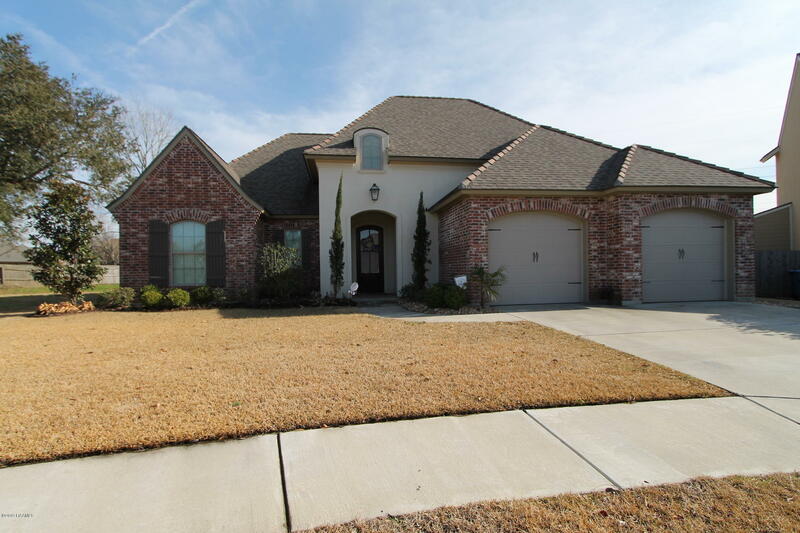 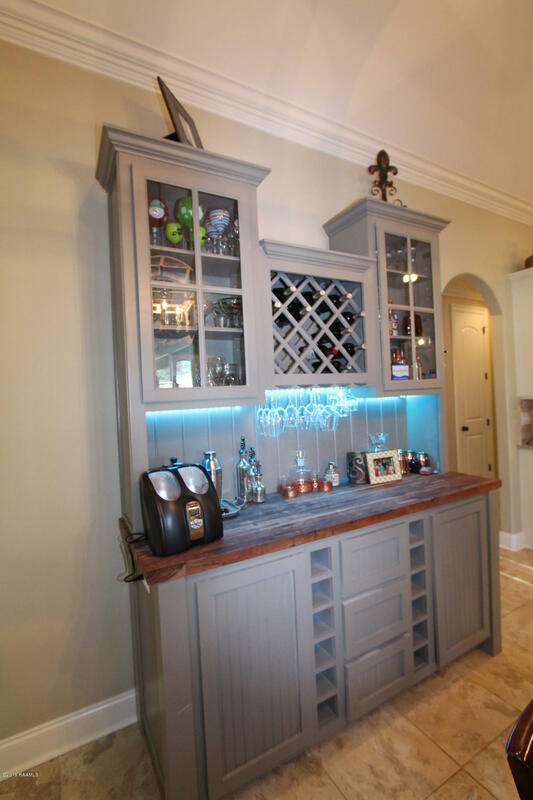 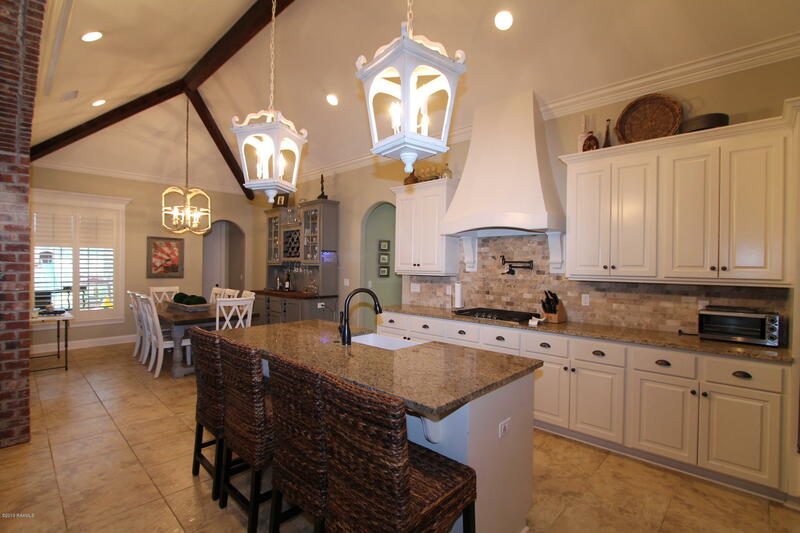 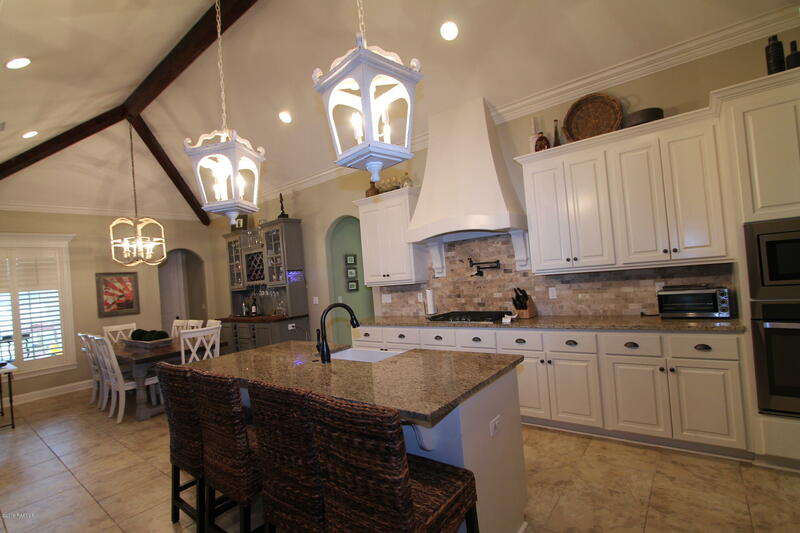 Welcome to this beautiful home built in 2015 in Tuscany Subdivision! 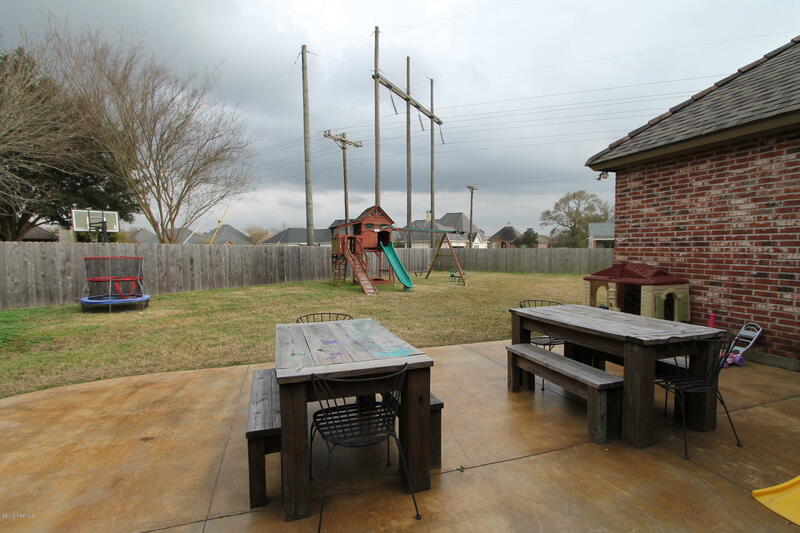 This home is a triple split and open floorplan that has 4 bedrooms and 3 baths with a bonus half bath outside on the patio! 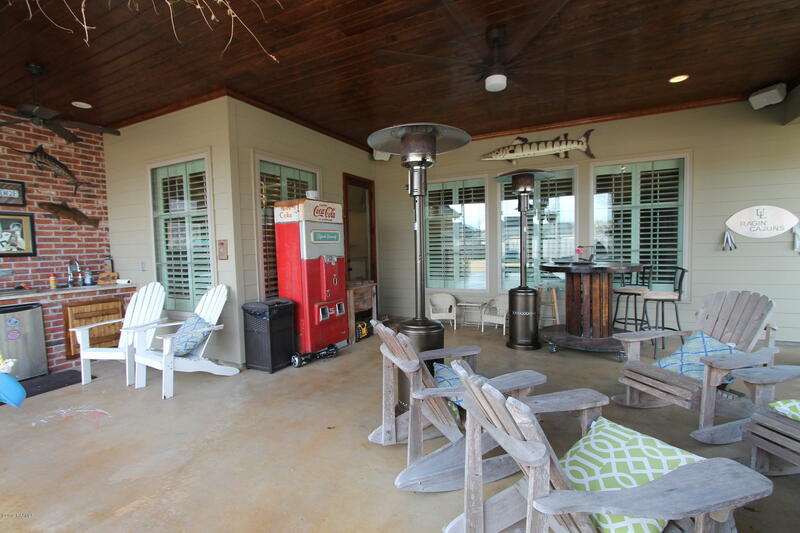 Speaking of patios, if you are looking for a true space to entertain outside- make this home your first stop! 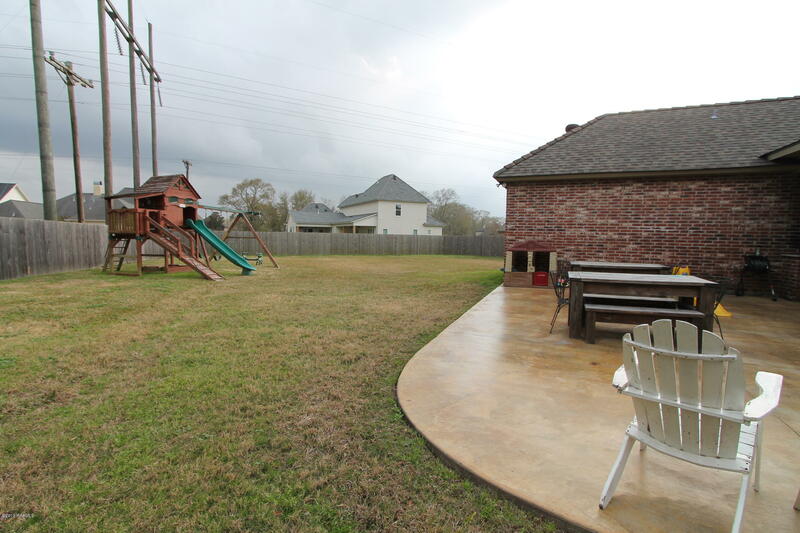 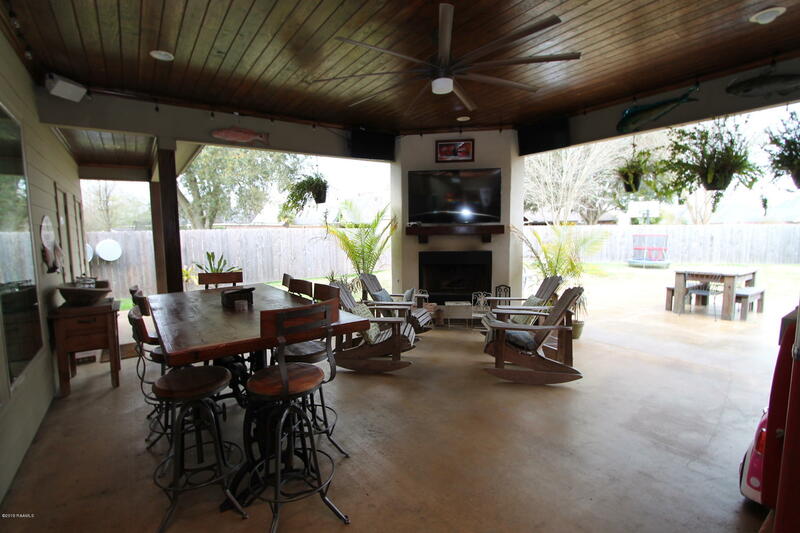 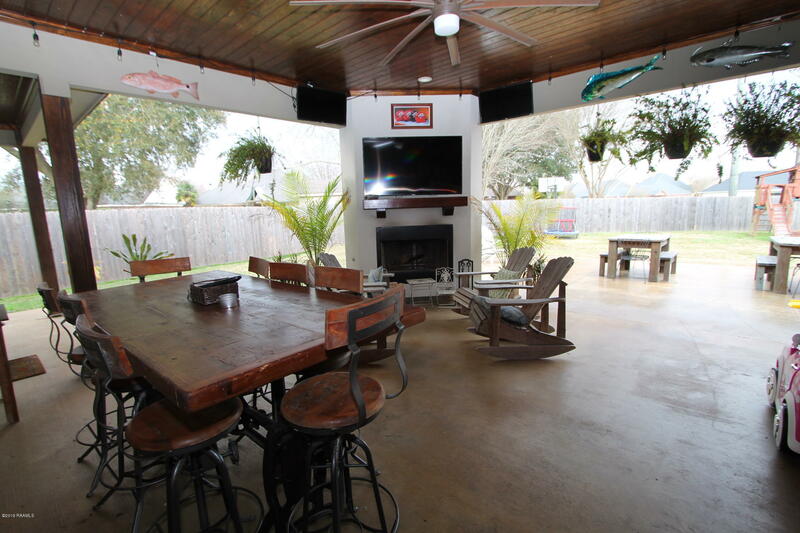 This patio has everything- wood burning fireplace, outdoor kitchen with grill, cook top, mini fridge and sink, half bath, plenty of space for entertaining guests and a large backyard. 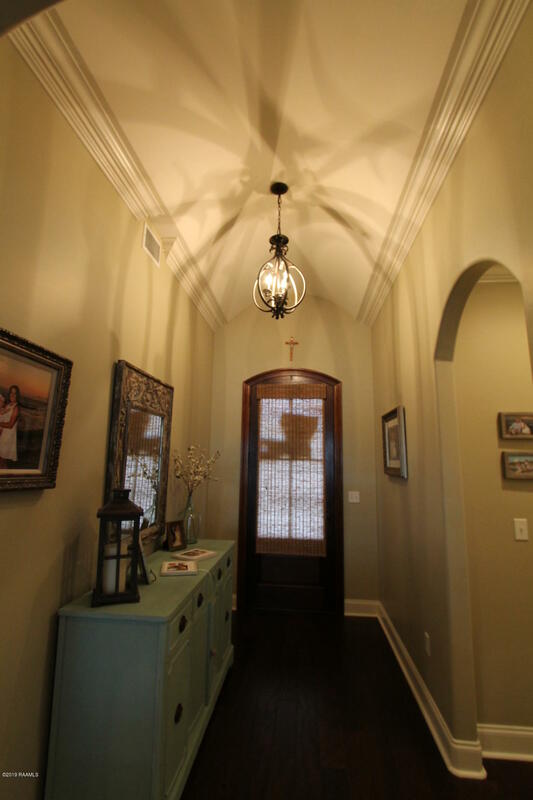 Going into the house and it is just as amazing. 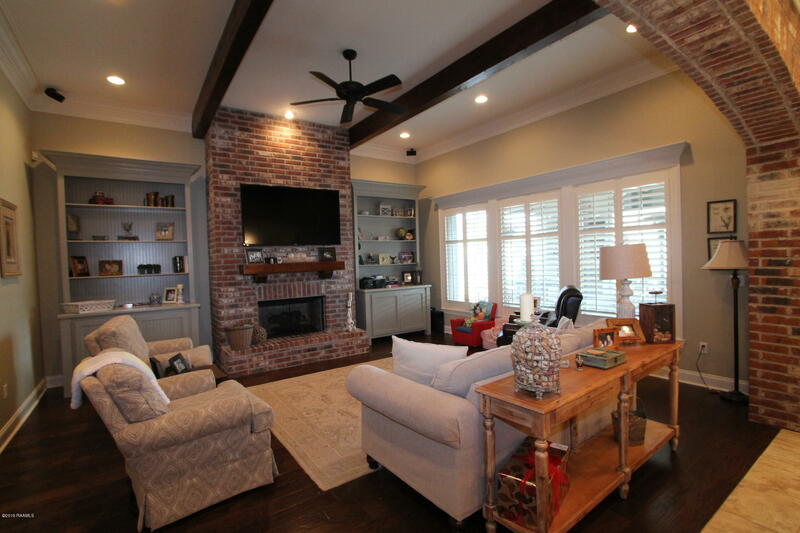 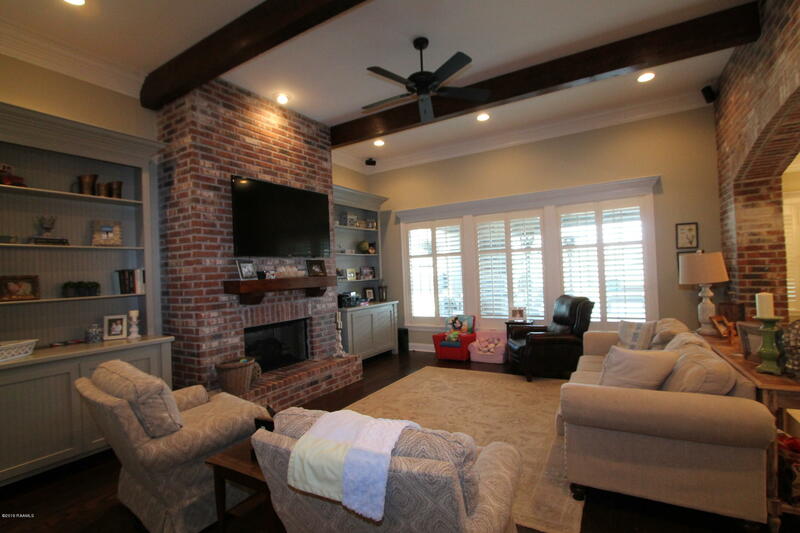 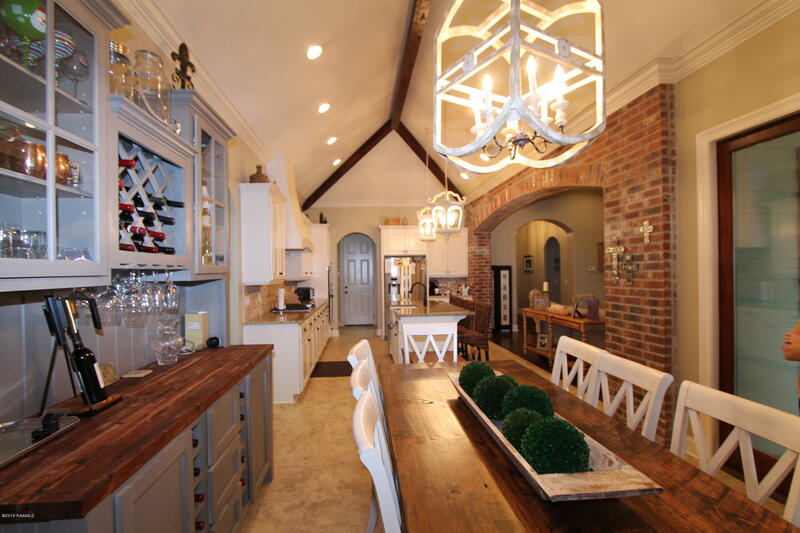 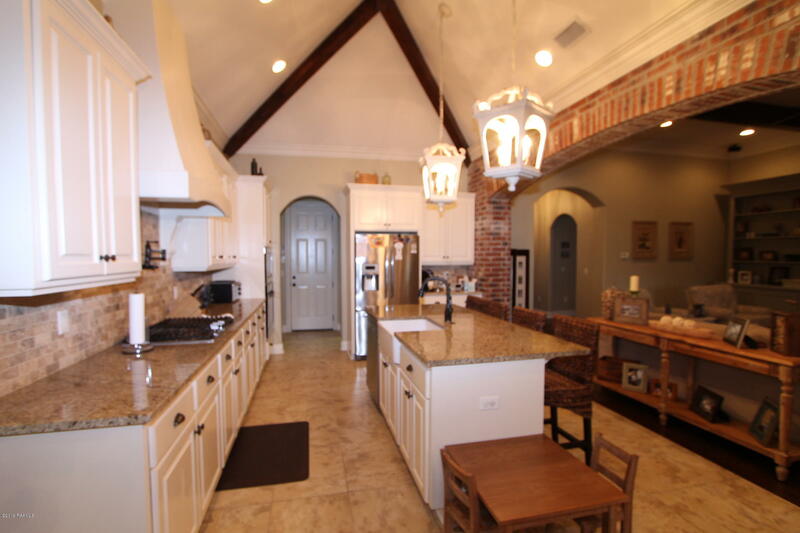 the main living area boasts a beautiful brick archway and wood beams on the ceiling The fireplace inside is a vent-less fireplace and the fireplace facade compliments the brick arch with floor to ceiling brick and a wood beam mantle. 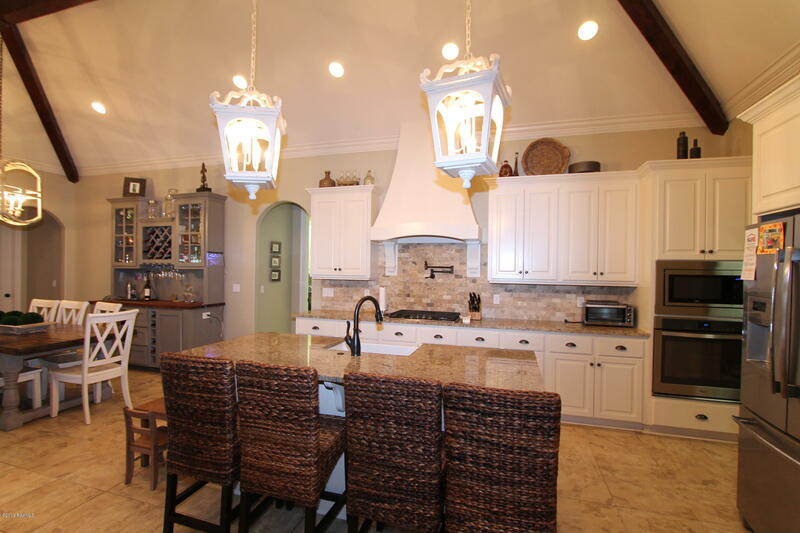 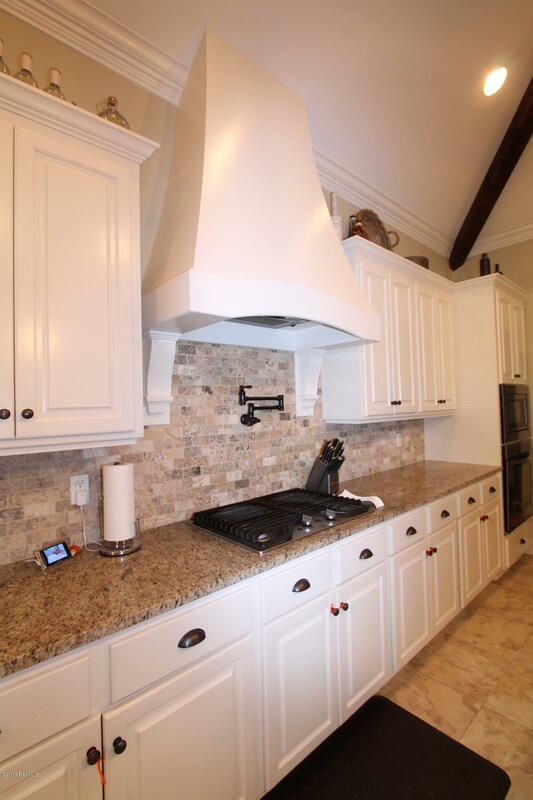 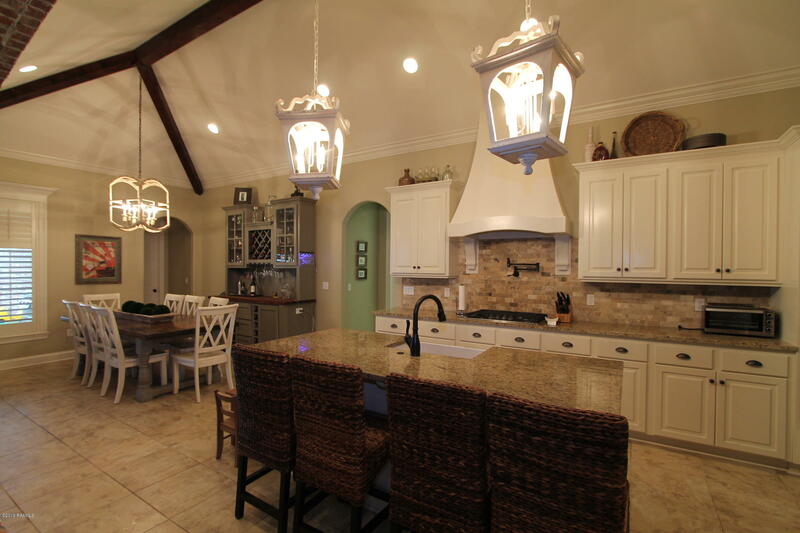 The kitchen has all stainless appliances including a wall oven and wall microwave and stainless GAS cook top. 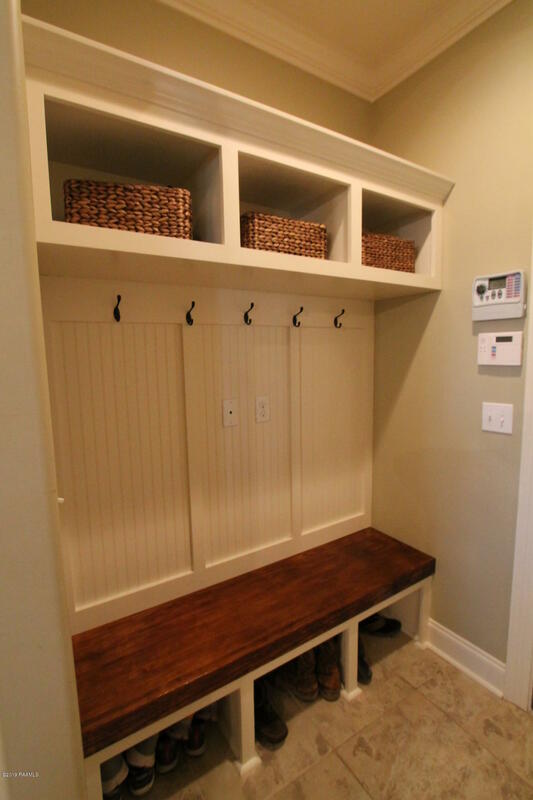 Off the kitchen, going into the garage is a mud area with plenty of room to store all your belongings. 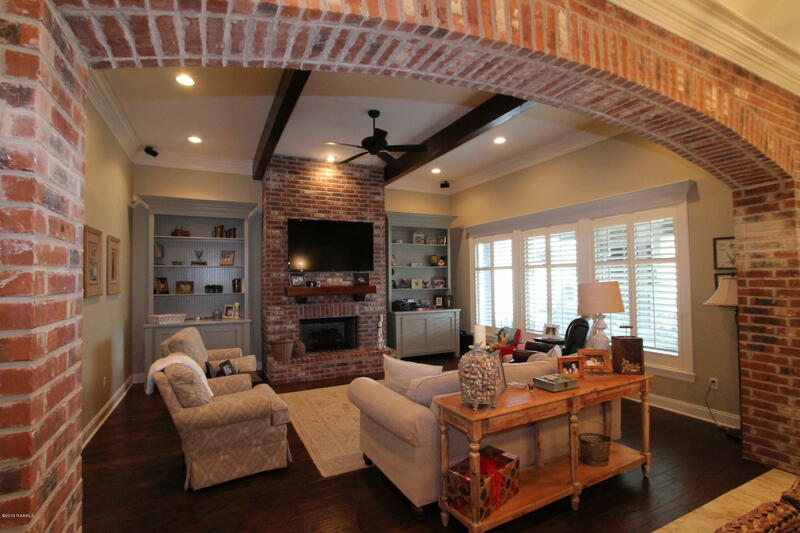 A triple split floor plan puts the cherry on top this great house. 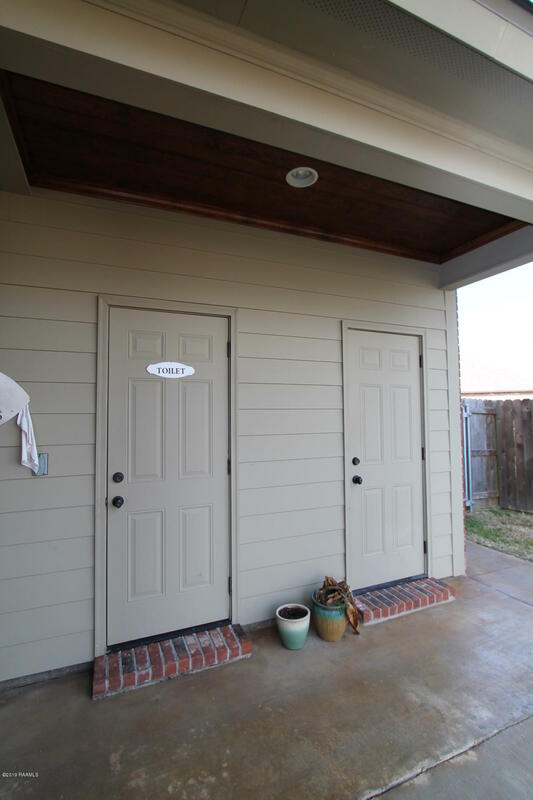 A triple split floor plan means there are 2 bedrooms and one bath on one wing of the house, 1 bedroom with 1 bath on another wing of the house and the master on its own side. 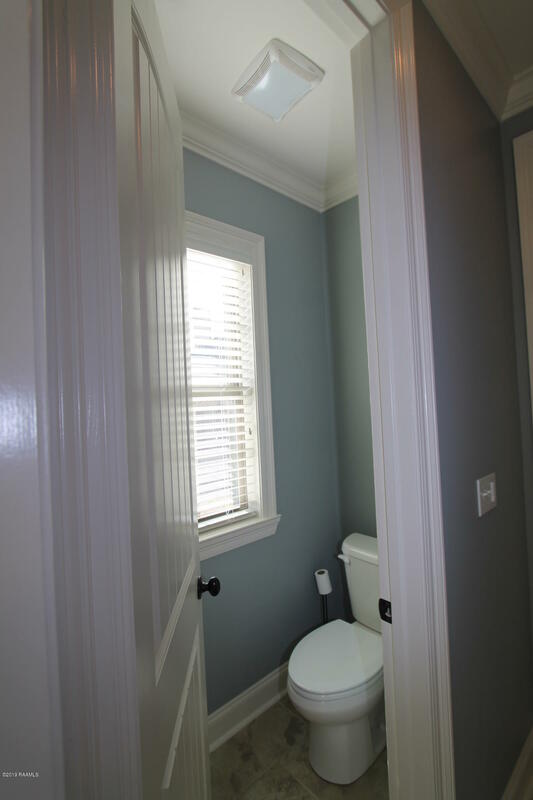 This floorplan is preferred because of the privacy it gives to each bedroom. 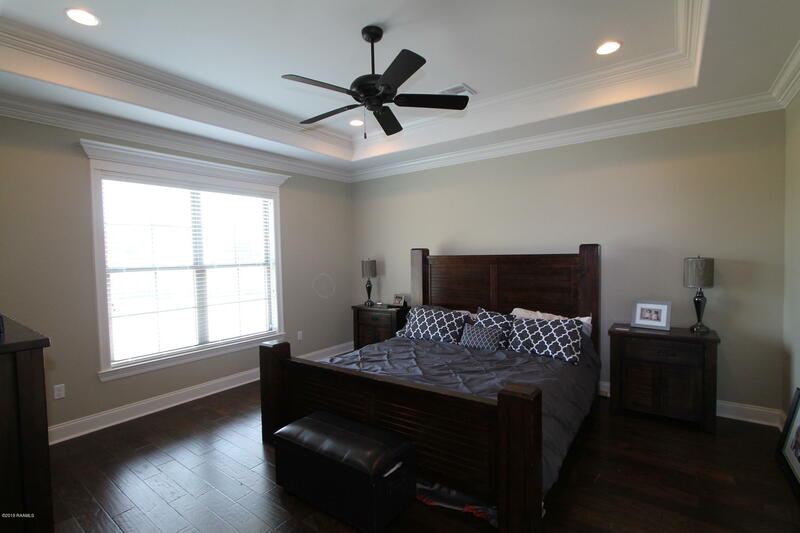 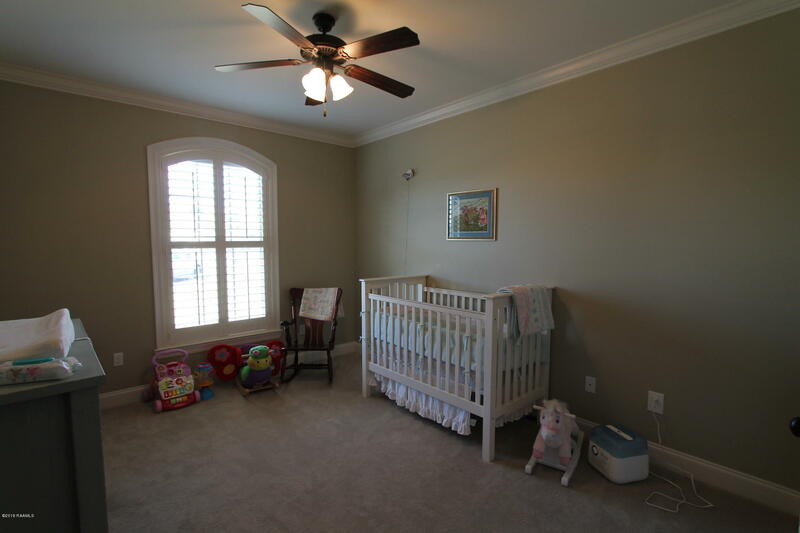 Your master bedroom is very large, great to accommodate big furniture. 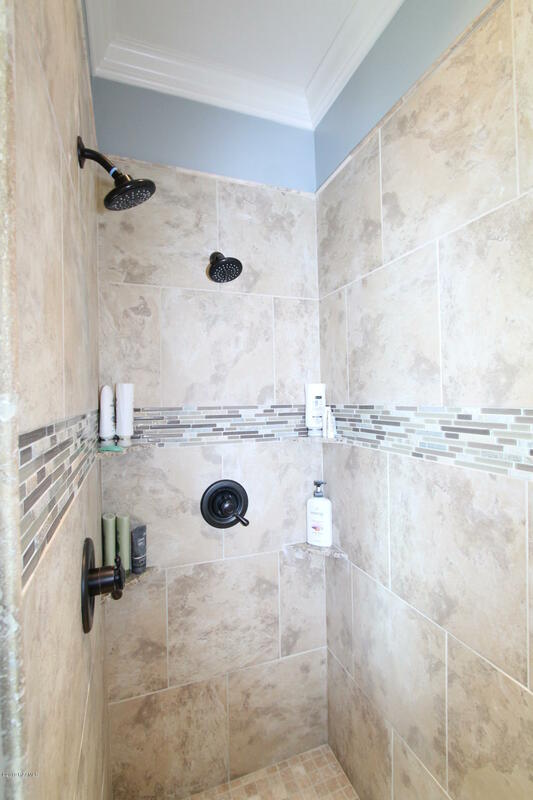 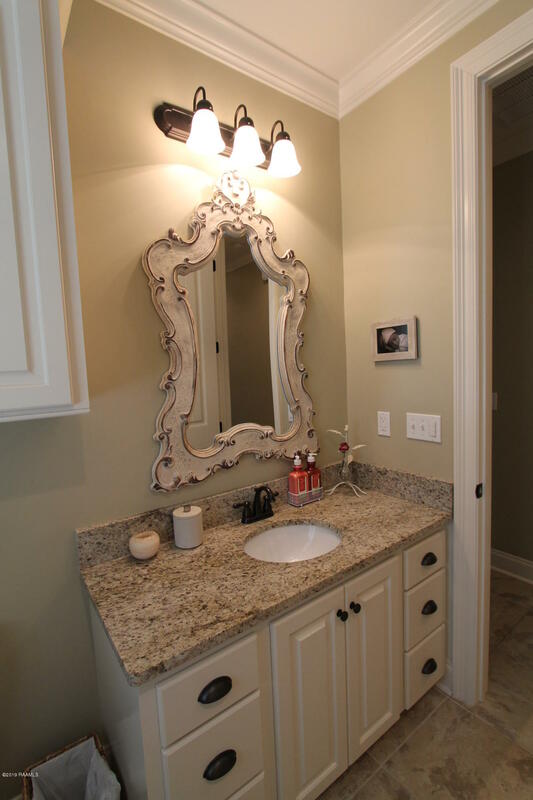 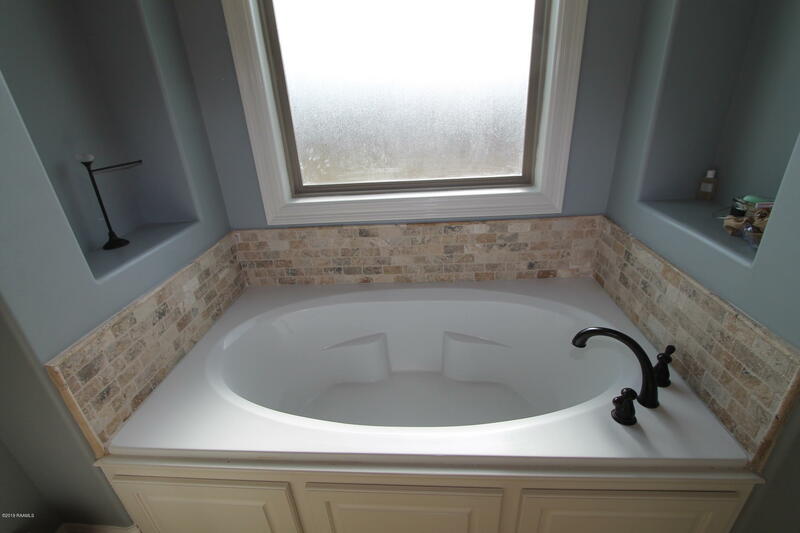 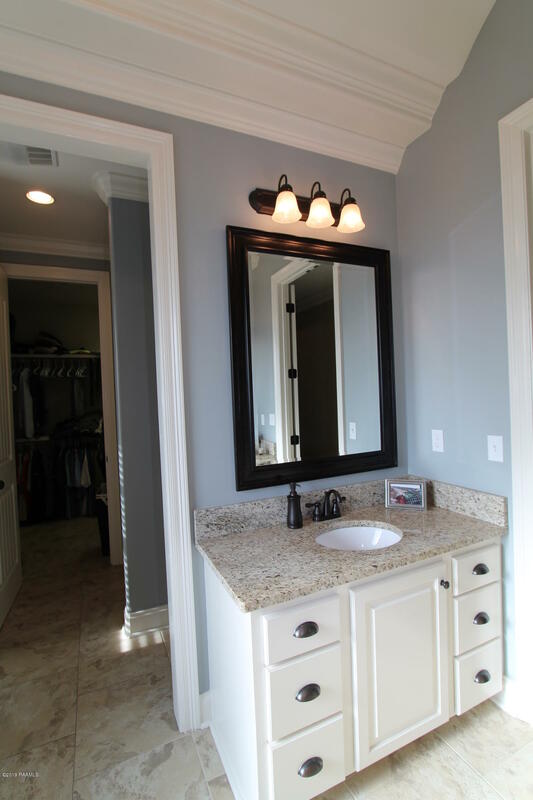 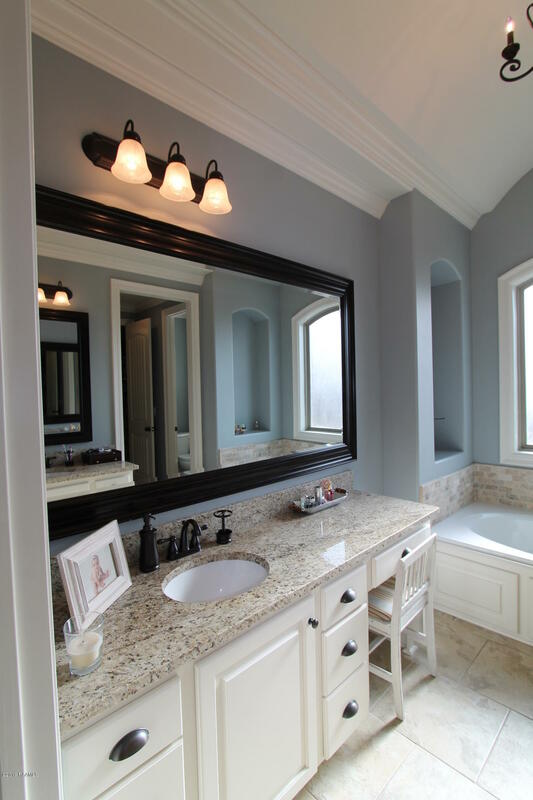 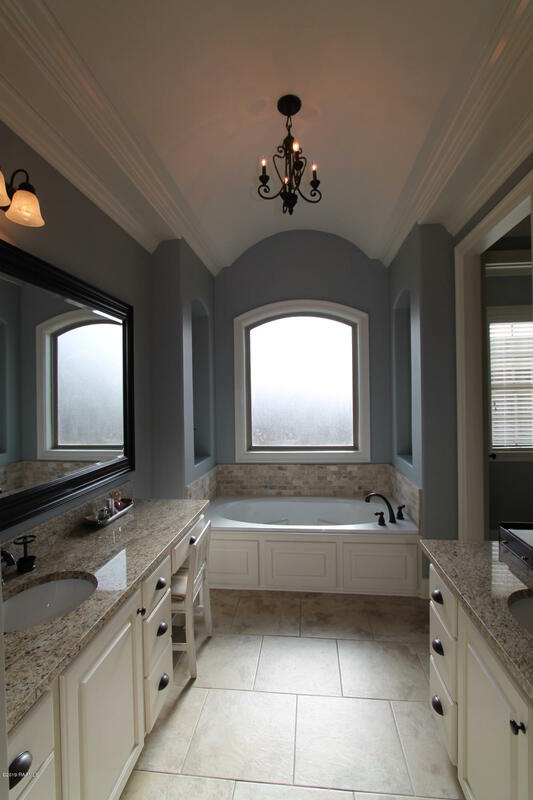 Master bath has separate sinks, large soaking tub and walk in shower with 2 shower heads. 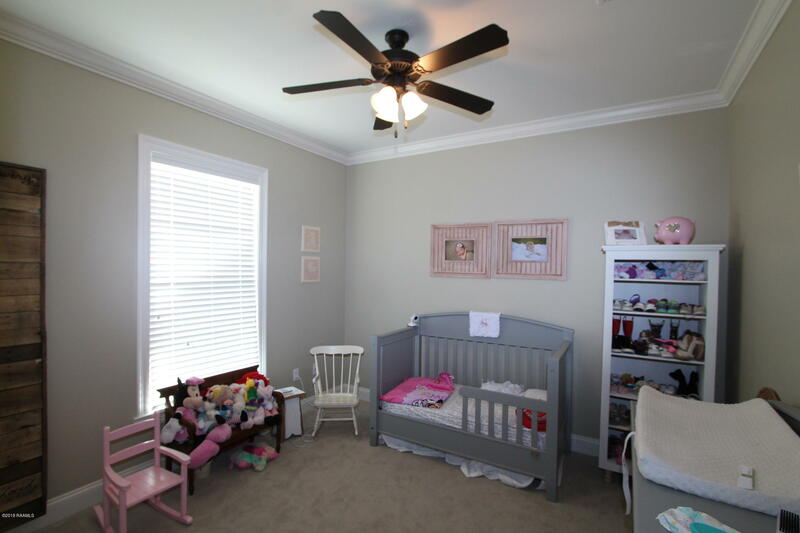 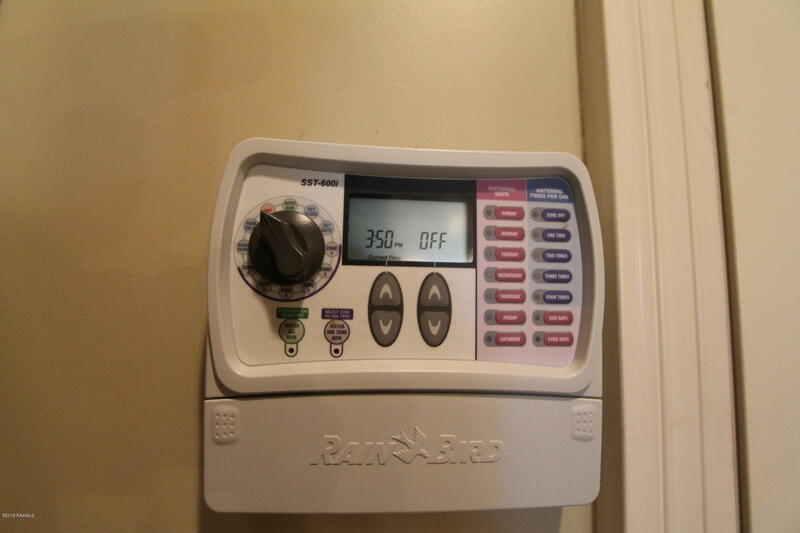 Also noteworthy about the house are the plantation shutters in all the main living areas of the house, garage access code box to open the garage door without a key, sprinkler system for the front yard and energy efficient construction. 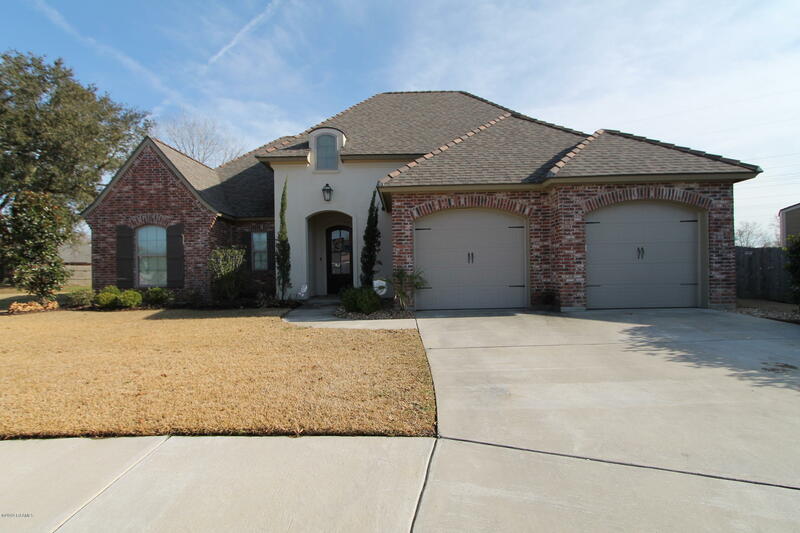 If you are looking for a four bedroom, three and a half bath home with a large yard and awesome patio, put this home on your short list!